Advances in motorcycle technology have produced specialized motorcycle equipment for the physically impaired rider. Poppa Bear Custom Cycles can utilize this equipment to modify your bike or trike, or build you a custom trike from the ground up that will work with your abilities, and not against them. Disabled motorcycle riders don’t have to quit riding as they might have had to do in the past. 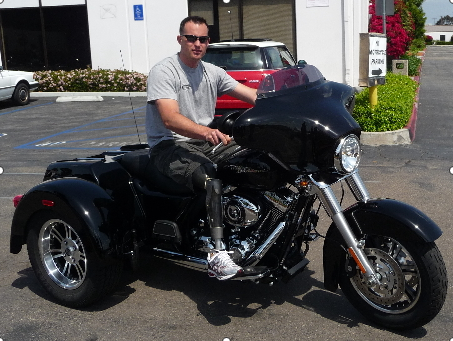 We can custom build a trike for amputees, people who have had a stroke and suffer from weakness in one or more limbs, people injured in an accident, and more. In addition to these aids and adaptations, we can reroute the clutch, throttle and brake controls as necessary, adjust the seat and padding, even design a trike that can hold an oxygen tank or a wheelchair. Contact us today at 410-937-3766 to see what we can do to help keep you on the road.